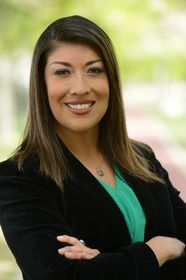 SANTA MONICA, CA--(Marketwired - Nov 2, 2016) - Former Assemblywoman and the first Latina elected to the state legislature in the history of Nevada, Lucy Flores, has joined mitú as a senior political strategist. Flores, who rose to national prominence as a fierce progressive champion and who inspired her own hashtag #FierceFlores has been described as "the Latina star Democrats have been waiting for" joins mitú as the digital media company continues its phenomenal growth serving what has traditionally been an underserved community in digital media. Flores joins Arturo Carmona, who joined mitú as Head of Community Engagement and Public Affairs after serving as Bernie Sanders' national deputy political director, as mitú continues to expand their public affairs and community engagement efforts. As the leading Latino digital media company in the world, mitú has successfully created culturally-specific content with universal appeal that resonates with the incredibly diverse Latino community in a way that connects culture, builds community, and engagement. mitú connects with over 15 million young Latinos every day. "mitú's core message of being 'unapologetically Latino' hits home with me and so many other Latinos in this country," said Flores, "The Latino community is incredibly diverse, but despite the nuances of the community you find commonalities such as the sense of pride that people feel in America, but also in their culture. Newer generations of Latinos don't have to choose between being American and being Latino, they are equal parts both. Having media content that reflects this duality is very important." Carmona added, "throughout this election year, Donald Trump has made Latino, Mexican and immigrant bashing a recurrent theme of his campaign. Every time he ups the ante with his disrespect such as referring to immigrants as 'bad hombres.' mitú is happy to be the media company that effectively reaches millions of Latinos to fight back against his dangerous rhetoric." Carmona and Flores hope to expand strategic partnerships and create special initiatives as political organizations and political leaders recognize that sustained outreach to Latinos is more important than ever.